James M. Barrie’s ever-delightful classic with a star-studded history was produced by Charles Frohman at the Criterion Theatre, New York on Christmas day, 1905, and has always been a triumphant play for the talents of the greatest ladies of the theatre, from Ethel Barrymore down to Helen Hayes. 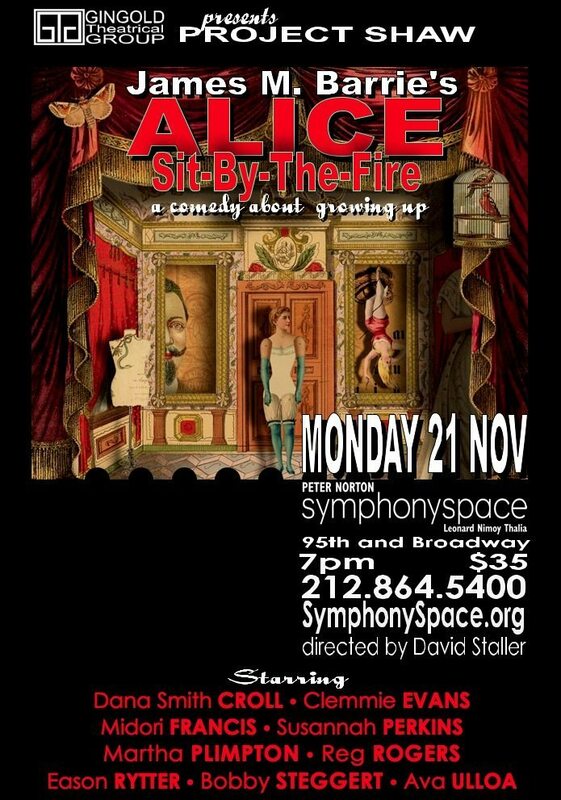 Alice is the central figure who returns from India to England with her husband, and has the problem of readapting herself to the home and children she had left behind. Her highly imaginative daughter, Amy, misunderstands her coquettish remarks to a dear family friend, and believes her mother is to have a rendezvous with him. In a grand gesture, Amy decides to sacrifice herself and meets “the lover” first. When Alice finds her daughter’s glove in the friend’s apartment, she is horrified; and now mother and daughter fear for each other, while the poor friend is completely at sea. So too is Alice’s husband. But they finally unravel the mistaken affair without offending the sensitive imagination of Amy.For the last few years we’ve been expanding our programming to include works by writers who most influenced Shaw’s decision to write plays. As Project Shaw continues to branch out to include playwrights who were instrumental in the formation of ‘Shaw the Playwright’, we bring you a charming play by one of Shaw’s contemporaries, the man who created PETER PAN, and one of the most important men of the theatre in the 20th century, J.M. Barrie. This delightful and rarely seen comedy is the perfect antidote for Thanksgiving angst!